Fields of applications are designs where high current and voltage carrying capabilities are required, e.g. converter equipment in power generation or in traction technology for train drives, hoists, crane drives etc. 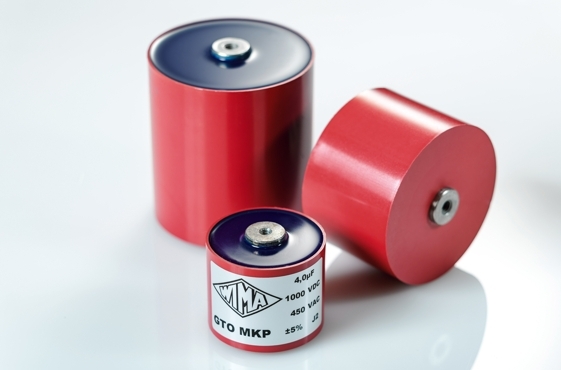 WIMA GTO MKP capacitors are available with capacitances from 1.0 µF through 100 µF and with nominal voltages from 400 VDC through 2000 VDC. For mounting purposes M6 and M8 threaded terminations are possible. Customer-specific requirements can be realized on demand. * The insulation resistance data refers to the lowest rated voltage of each range.